I've been lucky to write for USA Today College, Huffington Post, Southwest Airlines, The College Tourist, University Chic, Intern Queen, and PRSSA's Progressions and FORUM platforms as I balanced academic, client and company-based/ghost writing with topics of personal interest: travel, professional development and the collegiate lifestyle. I'd love to provide freelance or ghost/web content for you and your brand - or just chat about why these topics were my go-tos. (Giving this page a little TLC soon! I had a challenging first semester adjusting to college, so I wrote and pitched an Opinion piece that was in the Top 5 "most shared" for two days after going live. 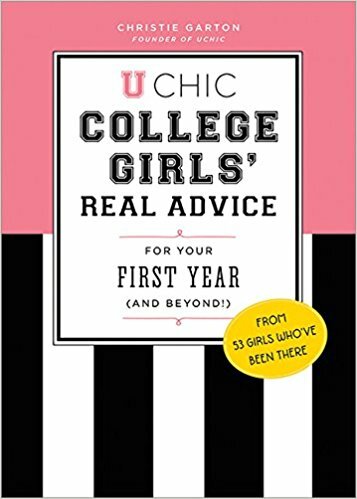 I researched, wrote and had two essays published in the latest edition of UChic's book (!! ), helping young women prepare for college. I wrote "What to do the Summer Before College" and "How to Build Your Digital Network." In a co-sponsored post with Spirit Jersey and The College Tourist, I shared my top 10 places to visit in Sevilla, Spain.